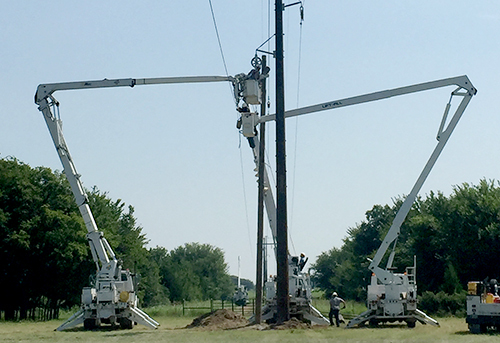 Tying it all together … GRDA linemen work on a new pole installed as part of the Feeder 13 (high voltage power line) rebuild project. This large project was completed in-house in 2017 and is just one of many ways GRDA is working to maintain a reputation as a reliable power supplier. 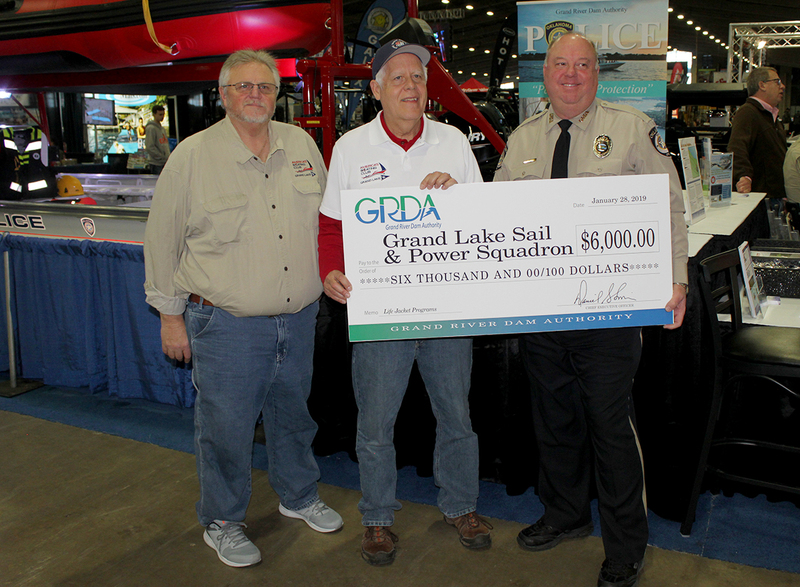 When the Grand River Dam Authority held its annual customer meetings in mid-February, an update on the electric transmission system was on the agenda. This update was intended to inform customers of what GRDA has recently done, and what GRDA is also planning to do in the near future, to continue to maintain the reliable flow of electricity. Just as your home’s electric systems needs outlets in the right places to meet your electrical needs, GRDA also needs the lines, substations and other components in the right places across its system to make sure the power is there when customer demands call for it. And because the high voltage electricity must flow across its 1,200 miles of transmission lines 24/7/365, proper system planning is a daily priority. During his presentation to customers, GRDA Chief Engineer Jeff Tullis was able to speak about seven different projects, all completed in 2017, that were intended to help GRDA continue its reputation for reliability while also preparing the system for those future needs. What were some of those projects? Well, there were projects at two different substations (one in the MidAmerica Industrial Park and one in the customer community of Pryor), as well as interconnect work in Claremore, a new electric feeder rebuild between the customer communities of Skiatook and Collinsville and even protection and terminal upgrade projects at both the GRDA Grand River Energy Center and Robert S. Ker Dam. While some of that may sound just a bit technical, it was all accomplished to help do one simple but critical task: make sure the power is available when and where it needs to be. Contained within the GRDA “5E’s of excellence” mission is one very important pledge: We will produce low-cost, reliable electricity for our customers. The production happens at our power plants, while the reliable delivery happens all across Oklahoma. Every day, our team is working to ensure that continues on.